How do you get 6.2 million people up every morning, feed them, send them to work or school, and put a roof over their heads every night in a country where the average income of a worker is around $800 a year? Then answer is easy. Hard work, sacrifice, innovation, and an entrepreneurial spirit that is partially survival instinct, and mostly hope. In Hanoi it is easy to be confused while walking down a main street where many shops offer the latest in wide screen TVs and mobile phone technology, while navigating sidewalks busy with vendors trying to scrape a living by selling used books and bowls of dumplings. We’ve been here before. Guangzhou in the early 1990s. Ulaanbaatar in the 1990s. Jakarta. Locations that are now littered with a Starbucks on every street corner, Mercedes Benz jamming the streets, and a hunger for opulence that has literally flipped the economy and quality of life on its back. Does Hanoi have the same opportunity and appetite for success as other Asian countries? The intellectual and institutional tools to make s it happen? In the 1900s foreign tech companies would go to China to set up shop. Most had a twisted idea that if they sold a comb to one billion Chinese they would become wealthy, but others saw the potential of China as a place to build new business, and new business models not possible in their home countries. In the telecom business we found university graduates with strong backgrounds in math, science, and physics – but had never actually touched a laptop computer or telecom switch. Within a few months, with their strong academic training, the Chinese employees were overtaking their (in our case) American counterparts in both understanding the technology we were deploying, but also having a view into the future that was not nurtured in our home offices. As a company we made the decision to let the China-based branch offices of our company loose to develop new products, software, and services based roughly on our company’s target market. The China office blew past our home office vision, and led the company into new areas of business that ultimately changed our entire service line – until we were eventually throttled back due to our business being contributed into a merger. I see the same intelligence, capability, and burning hunger for success in Hanoi. The university graduates I meet are smart, really smart. Unlike the 1990s in China, Hanoi (and I assume many parts of Vietnam) already have some access to Internet technology. Very low cost Internet cafes dot the city, and a peek into the café reveals users are not playing games – rather they are using Facebook and other social media to communicate with expatriate relatives and friends, as well as making new contacts around the world. 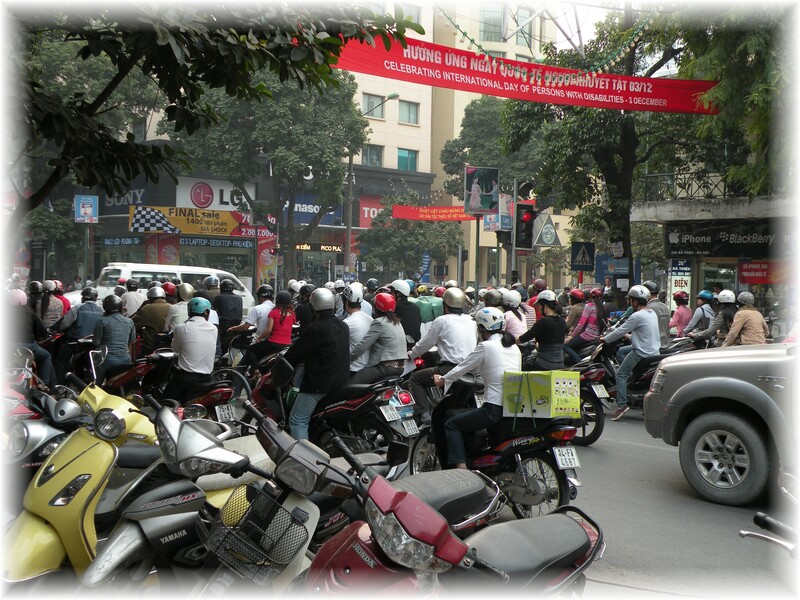 There are several arguments possible on where and how Hanoi should focus their innovative efforts. The city infrastructure is appalling. Raw sewage floats down the sidewalks and street where children are playing. Tens of thousands of scooters spew CO2 into the air. Low quality coal is used in homes for cooking and heat, spewing terrible levels of particulate into the air, as well as increasing the potential of illness due to CO2 poisoning in the home. Clean water is also a commodity, and there is no assurance even tap water meets minimum international standards for health. High voltage power lines are frequently running along the top of city sidewalks, and bundles of telephone and power cables drape their way across streets and intersections creating a situation that makes you pray there are no typhoons, earthquakes, or even irresponsible lorry (truck) drivers that may cause one of the utility poles to tumble into a crowded public space. So the dilemma – should a city like Hanoi focus all its effort on rebuilding city infrastructure, or jumping into the 22nd century exploiting the capacity of their youth? Rhetorical? Maybe. Necessary? Definitely. My suggestion would be to let the international agencies work with government to develop a strategy to rebuild the city’s infrastructure, and let the private sector develop the youth of Vietnam to build the basis for an economy and society for the next generation. It would be a tragedy to force the youth of Hanoi, or any other developing country, to miss the opportunities of living in a global social and economic future driven by technology – and be forced to look forward to a life of selling used books to foreigners standing outside of the Hanoi Opera House, scraping enough money out of the sympathies of passing tourists, to find enough money to buy food to live through the next day. Maybe there is a place for both. Maybe the youth can be trained to develop technologies that will help rebuild Vietnam’s infrastructure. The only problem that arises is that building infrastructure does not build products, provide exports, or support a market economy – it is merely a national cost center in a country that clearly is not in a position to afford a US-style deficit. But, when walking past an elementary school it is easy to become excited at the future of Hanoi. Young people must be smarter than our “baby boomer” generation, and they are being presented with basic intellectual tools to run with their dreams and visions. This will not be in competition to America or other country, but rather a new partner in developing a better world. Given the experiences of China and Mongolia (my own experiences), I have deep empathy for the current sacrifices being made each day by the people of Hanoi, and great optimism that Hanoi’s quality of life and place in the globalized social community will level with the international community within the next generation. I agree with your analysis. 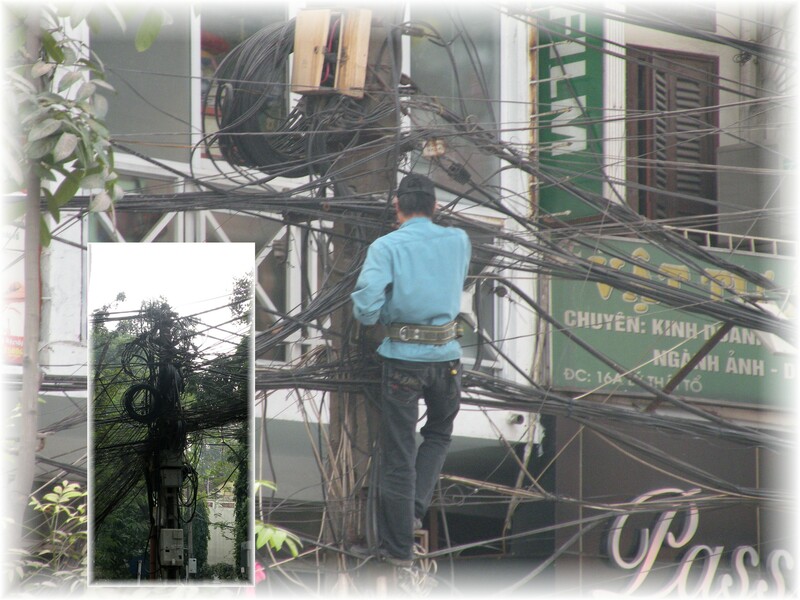 However, I should point out (as Hanoi resident) that certain parts of the city infrastructure are being taken care of. To use an example from your post, the power lines are actually being moved underground. If you walk down Hang Bai Street near Hoan Kiem lake you’ll notice that they are already hidden. And if you go 2 streets over the sidewalks are being excavated to make room for the new lines. I’m not sure how long it will take, but given that they can seem to be able to erect a 5 story building in a matter of months it shouldn’t take too long. Great post though. 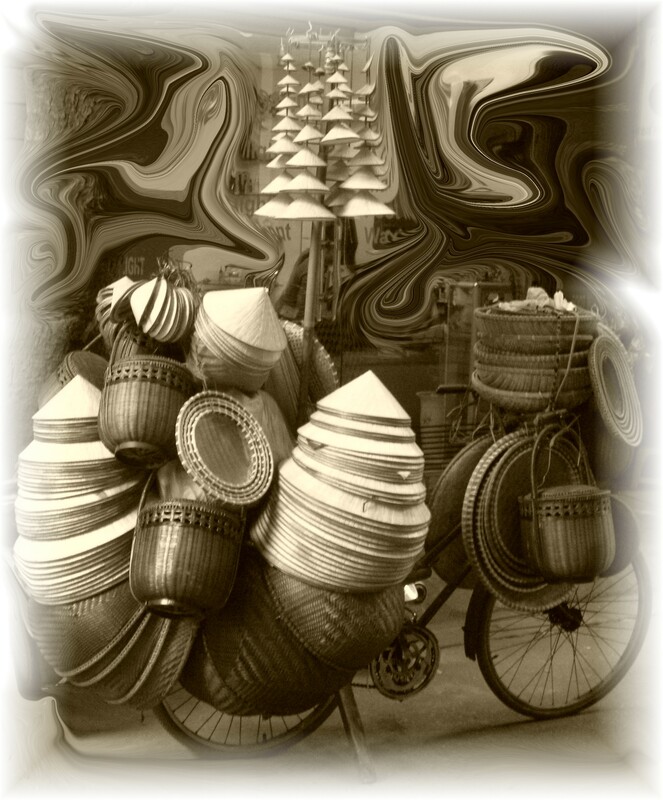 I really believe that Vietnam is poised for a big economic revolution. Thanks for the comment. This afternoon I actually took about 25 photos of the coils of conduit being prepared for burial, and walked around about 2 Km of open sidewalk. I’d also note a lot of the power cable is meshed with telecom cable, and sorting this will take a bit of time – unless it is done through brute force (by this I mean cutting all the cables and rebuilding the infrastructure). The other factor is ensuring the buildings are able to support internal infrastructure with riser space and meters. As you said, if a building can go up in 3 months, it is possible. Will just be painful for residents and businesses during the conversion.